This is an example of a c.1920s-1930s KP mark. 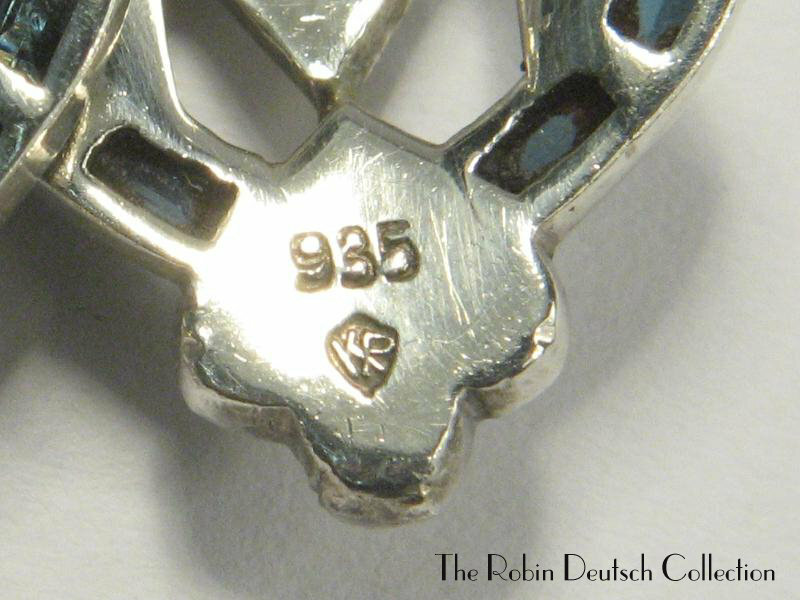 The KP ALWAYS intersects at the bottom, but it is contained it what looks like more of a "shield shape" than the post WWII pieces that look like the trademark in the ad on top of my page. Sometimes the earlier pieces might not even look like they are in a shield. The KP and also thicker than the later strikes.